We're just a few weeks into the new year and only a couple of weeks away from my first race of the year. Training is going well! I'm learning to push myself through some tough workouts - intervals, hills, distance, strength workouts. And they are leaving me tired and sore. A good kind of sore! I will be honest. I have spent a ton of time inside on the treadmill. It's seriously so much easier for me to not worry about the kids schedules, less daylight, and cold. I can just put on a tank, grab a towel, and bring my phone downstairs to enjoy some Netflix loving time and to bang out some miles on my treadmill. Sunday morning I woke up so sore! My legs were saying no more! But I had 10 miles to get done. Then I remembered my 12 miler last weekend and I had similar feelings. I wore my SKINS K-PROPRIUM tights last week and they were amazing. I had only planned on 10 miles, but just kept going. 12 miles later, I still felt pretty good. After I showered and got into my daily routines, I noticed that I did not feel like I had run 12 miles. So, I thought, let's try out those SKINS compression tights again. And I did. And 10 miles never felt so good. The sore muscle feeling went away. The miles just ticked away. It was an odd feeling. Something I haven't experienced before on a longer run. 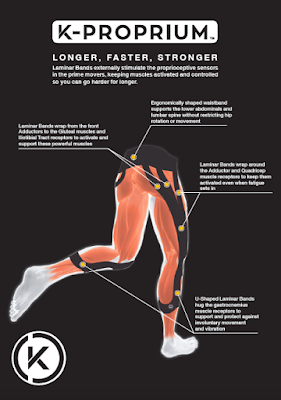 It got me thinking, how on earth are my legs feeling so good running in compression tights? I've tried running in compression tights before and it was not a good situation. It really turned out to be that I should only wear them as recovery tights. So I was a little timid to run in the SKINS tights. But I did, and now there's no going back! I have had the opportunity to try out the K-PROPRIUM compression tights for the past few weeks and lucky you, SKINS' is launching K-PROPRIUM compression tights for men and women this February. SKINS' K-PROPRIUM combines the best dynamic gradient compression with strategically placed Proprioceptive Power Bands (PPB's) to fight fatigue and reduce the risk of injury and improve performance by enhancing proprioception. But wait! I know what fatigue is. 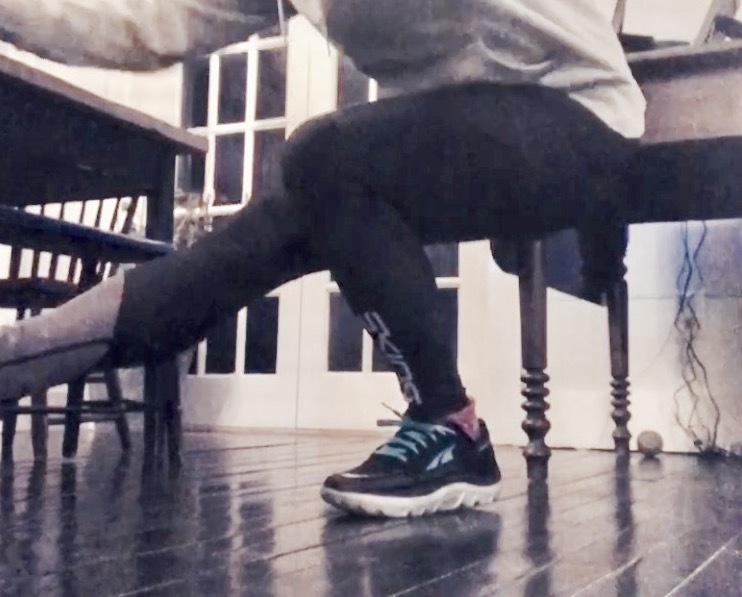 My legs feel it almost every time I bust out a tough workout or a long run. I definitely know what injuries are. I've had far too many. But seriously, what the heck is proprioception? Thankfully, the people at SKINS have defined this for us. "Proprioception is the unconscious perception of motion and spatial awareness. So basically, what I'm telling you is the SKINS' merged two amazing compression methods into one pair of tights to bring us tights that will help improve performance when your legs are fatiguing and will help you persevere through that tough workout. But all of this doesn't really matter unless you try them our or know of someone who has tried them out. I had the opportunity to try out a pair for the past few weeks. After several workouts in them, I can assure you that they feel amazing on my legs and have definitely made a few workouts much better. And with my new SKINS K-PROPIUM tights, I'm also joining in on the #pistolsquat challenge. Right now, day 1. I'm not so good. But given time, patience, and lots of practice - I'm going to master the pistol squat. That's what determination is about! I think you should join me on instagram! disclosure: I received a pair of SKINS K-PROPIUM tights to try out. I was not required to post a positive review. As always, all opinions expressed on my blog are 100% my own. Thank Goodness it's Hump Day! Lumo Run a 1:1 Running Coach?